My most recent experience of genocide intending Islamic killers was in 2008. My business takes me around the Globe as I source, quarry & manufacture natural stone for use as paving or bespoke features for hard landscaping schemes throughout Ireland or Britain in an ethical manner. In November 2008 I happened to be en-route from our Sandstone process yards in Rajasthan to view new materials available in Gujurat when due to flight transfers I found myself whiling away some hours at the exceptional Taj Mahal Hotel near the waterfront in cosmopolitan Mumbai (Bombay). As a waiter served me a drink I heard what I instinctively knew to be shots from either an AKM or AK47 from the rear of the hotel. Being an ex soldier and from Ireland I looked around, clocked what appeared to be a near exit from the bistro, grabbed my travel Bergen and at speed began to extract bodily from the hotel as the gunfire increased crescendoing in automatic bursts which I could tell were coming from multiple weapons. On the ground floor, I was met by two armed Islamist gunmen coming towards and I I watched them prime a satchel device which they threw. It then detonated in the lobby bringing down parts of the roof, killing and injuring other people. Butting me in the stomach with their rifles they yelled “Allahu Akbar. Death to India” before slapping & herding me towards other western guests. They forced us into kneeling positions with our hands on our heads as their comrades came through from the rear of the hotel, shooting at any one who moved. We grimaced at yet another very loud explosion which seemed to bring the building in around us as glass, plaster and building materials strewn across the hotel. It was a scene of sheer, bloody carnage with people taking cover, hiding or placed in groups under armed guard like us. I could see outside and to my abject dismay realised there was no army, police or local paramilitary Indian units near the hotel, just a guy quizzically looking on pondering what was happening. I was trying to breathe and remain calm dutifully watching movements, imagining overpowering our captors, securing a weapon and making good an escape. I was cogitating all this when in the early hours they began questioning guests on their origin and / or religion. As they came along the line the routine was the muzzle of an AK placed into our neck as they screamed “Your, reeeligion, whaat religion are youuu?” starting to segregate people into groups based on religion as they circled, lashed out, threatened and cursed in between ever higher pitches of “Allahu Akbar”. Next, they asked for our passports again with the muzzle of an AK placed into the back of the neck with the demand “Paaaaasssaaporte”. I noticed that USA & UK passport holders were being segregated from other nationalities and so thankful for being Irish and holding dual citizenship, I produced my Irish passport from the left side trouser leg pocket rather than the UK passport housed in my right side trouser leg pocket. I was placed with French, Italian and other nationality hostages and was not envious at missing the treatment meted out to USA hostages. From somewhere a TV appeared with channels flicking from CNN to NDTV to Sky to Fox. Soon it became clear that our situation was one of thirteen co-ordinated attacks on India. I felt inwardly sick and found myself praying as it dawned on me the flashing light circus now outside the Hotel was media and not professionals there to save anyone. After a time, the Jihadists herded us to the 1st floor where for some reason they just left us unguarded while they disappeared. The surviving members of Taj staff were absolutely brilliant in trying to bring calm to what was a collection of indigenous Indians and foreigners, reassuring us and discreetly using their mobiles to try to communicate with the outside world. The Oberoi Hotel next door was burning and we began discreetly waving to catch the attention of the fire crews tackling the blaze while at the same time remaining ever alert to the return of the terrorists. I understand one of the Taj staff telephoned a family member who happened to be in the Fire Service. As the minutes dragged like hours, a ladder was soon placed at our window and a breach made. There must have easily been 40 or 50 people making their escape from our segment of the Hotel. As dawn broke over the city and I stood in the street watching other fire crews repeating the exercise. Fleeing hostages became a Tsunami down ladders as the Media attempted to grab them for quick interviews and ambulance crews tried to break through the mêlée to the injured. The Indian people are ever resourceful and the majority Hindu faith has a fatalism thread throughout so most people sauntered off down the street, glad to be alive. Noting that I was lucky to still have my possessions with me (I travel lightly) I said a prayer of thanks and opted for the mantra ‘when in Rome, do as the Romans do’. I rang my colleague Vimal at his home in Noida and within the hour I was heading north in a 4×4 for the two day drive that would get me back to the relevant safety of Rajasthan where I could plot my return journey home. The attacks lasted from Wed 26th November through to Saturday 29th November 2008. Genocide intending Islamic Jihadists financed, trained & equipped by elements within the Pakistan State killed 167 people: death did not discriminate between Hindu or Parsis or Jew or Christian or Muslim as people of all faiths were butchered. All the Jihadists were killed by the Indian Army Black Cats (Special Forces), police or local paramilitaries apart from Muhammad Kasab. He was the one made famous by the media who filmed him casually walking through Mumbai Railway Station as he massacred innocents. In November 2012, aged 25, Kasab was hanged in Pune, India. At that time I’d written that while I have no doubt some of the victim families will take comfort from his death that I felt a frustration, not for Kasab but for a genocide cult mentality that indoctrinates young men to Jihad and I questioned did killing him do India, a country and people I love, a service? I questioned why the mastermind that is Pakistan’s ISI Security Services continues to feel free to luxuriate in Karachi, Manshera or Thatta while young canon fodder do their dirty work for them. Today, Isis have emerged as the latest killer cult intent on mass genocide. Their ability to grow has no doubt been enhanced by the political ignorance obtaining in the West and a reluctant political mentality to be associated with the uprising or conflict in Syria. Sceptical indecision by Syrian, Iraqi and other political leaders to address the genocide when it began has enabled Isis to attract killers, and widen its sphere of death creating a humanitarian crisis. Rwanda, alone, is evidence of how NGOs or the UN cannot deliver humanitarian relief without protection and thus I welcome Western involvement to protect the humanitarian mission. I urge caution however about rushing to put boots on the ground. This cannot be simply about eradicating the foot soldiers but must address the masterminds behind such a loathing destructive doctrine that goes so extremely against common humanity; it must be about capturing the paymasters and motivators of Isis. August 24, 2014 in Opinion. Glenn, a terrible time for our country that I remember well. Your global work in ethical trade, the reality you lived here in India or the fact that you’re here for 4 months in every year is either not known in your own country or as a great man once said “a prophet is never welcome in his home” As you know we still have our problems especially in J&K as well as the Punjab region with Pakistan and it often goes unheard or reported in the West so highlighting your experience of our difficulties with extremists is good. 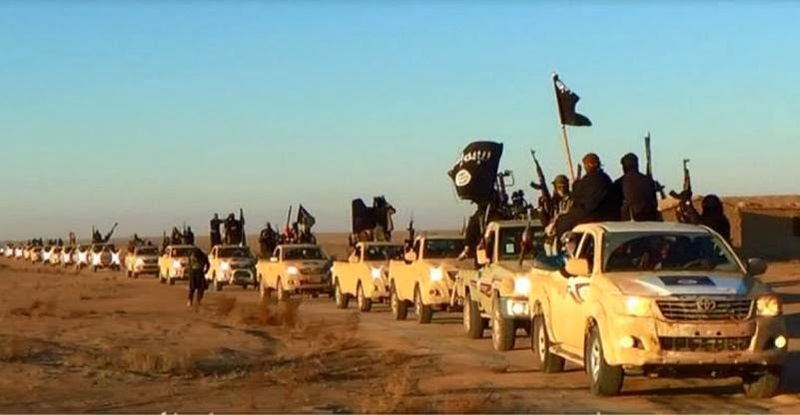 In the analysis of Isis I feel one has to also look at the past and many countries foreign policy or intervention here and also the Middle East. False entities created to for self serving interests; drawing lines in the desert and a wrackless abandonment when leaving. There are no short term solutions & fundamentalism whether it be Hindu, Parsi, Muslim or Christian remains an obstacle to global peace and stability – addressing the source of extreme fundamentalism is essential. A bit harsh… but Glen I think a little less of the Andy McNab in your last two articles would have served to make your points just as well.